with Crooked Still, Jimmy LaFave, Miley Cyrus & more! Thanks to my father’s determination to visit all 50 US states in his lifetime, we’ve just returned from a short vacation, and as is our practice here at Cover Lay Down, that means a feature with a regional focus. Previous Vacation Coverfolk sets took us to California, the Carolinas, Memphis, and more; this week found us in Nebraska, and so we turn to the work of a particularly influential musician with a decidedly midwestern origin. 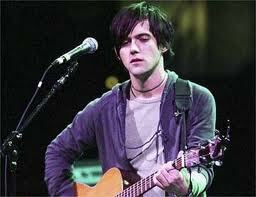 Ladies and Gentlemen: Conor Oberst, aka Bright Eyes. 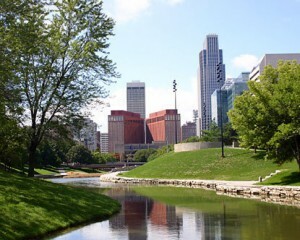 Outside of the cities, Nebraska is exactly what I always envisioned: miles upon miles of gently swelling farmland, planted green in corn and soybeans, with hardly a suburb in sight. But like everywhere in the postmillennial universe, urban centers have their curses and their charm, their commercial influences and their inner-city neighborhoods. And so, although much of Omaha and its sister city, nearby capitol Lincoln, are comprised of the same old fast food strip malls and condo sameness that have grown to typify the American experience, I suppose it was unsurprising to find small bohemian enclaves in both cities, constructed around beautifully restored old marketplace buildings and train stations. And where we find bohemia, we find good, authentic music. Nebraska’s history with music on the edge starts with its long and complicated history as a Jazz, Swing, and Blues enclave in the early half of the 19th century, centered around the storied Dreamland Ballroom in the African-American Near North Side neighborhood of Omaha, which attracted national acts, and was known as a breeding ground for bandmembers for touring bands. Dreamland would close in the 1960s, but the trend would later be continued by the Lincoln-based Zoo Bar, which has been home and host to many seminal Jazz and Blues recordings. In more recent years, thanks to a rise in indie venues, music festivals, and coffeehouses, Nebraska has produced a small collection of singer-songwriter types, predominantly male indiefolk musicians who we’ve covered here before: Joshua James, Josh Rouse, and others. 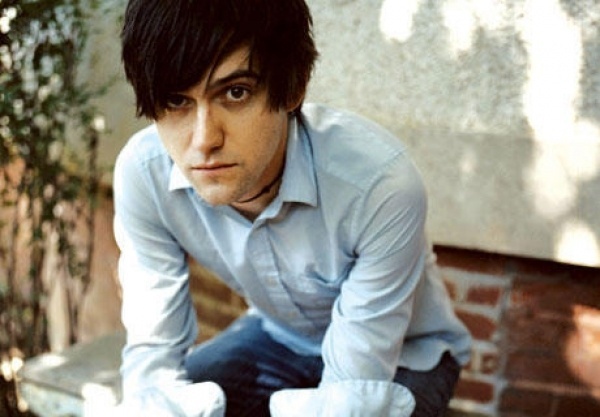 But much of the indie side of this influence is centered around singer-songwriter Conor Oberst – the driving force behind Bright Eyes, which was created out of the Omaha indie scene in the nineties; founding member of recent indiefolk supergroup quartet Monsters of Folk, and brother to Justin Oberst, co-founder of indie label Saddle Creek Records, which claims to be the primary spearholder for the Omaha Sound, a flavor typified by indie rock influences with a slight country twang. Named best songwriter of 2008 by Rolling Stone magazine, Oberst’s work is characterized by acoustic-based settings and angst-ridden lyrics that match impressionistic narratives with depressing, emotionally immature worldviews. With Bright Eyes – a moniker which Oberst has used as both a solo artist and as a coverall for band releases – he’s veered from bluegrass-tinged alt-country to light, echoey, hushed-voice troubadour folk to true-blue indie retrorock. The range displayed by his simultaneous 2005 Bright Eyes releases – the folk-influenced I’m Wide Awake It’s Morning, and the electro-pop-influenced Digital Ash In A Digital Urn – typify this experimental fluidity: the former sounds like Ryan Adams’ quieter, more tender side; the latter sounds more like new work from Depeche Mode, albeit with Oberst’s uniquely breathless, wavery, warbly voice as a constant throughout both albums. As a solo artist and collaborator, much of his work follows in this same vein, with intimacy in some songs and tours, and harder edges flavoring others. Indeed, some of the songs and covers that Oberst has recorded, both on his own and in partnership with others, are so far from folk that today’s set represents but one side of the coin for this particular artist. For example, though two decidedly sweet Dylan songs make the cut below, you’ll have to track down his frenetic thrashpunk cover of One More Cup Of Coffee, recorded with Ryan Adams in what appears to have been a Dead Milkmen moment. Nonetheless, the diversity of both Oberst’s songbook and performance modes has engendered quite a broad variety of coverage, both of and from Oberst himself, which fits under a broad definition of folk. As such, our covers collection veers wide, touching upon the typically crunchy and stripped-down (Marissa Nadler, Kelsea Olivia), produced piano popfolk (Sara Lov), and edgy alt-folk of the indie type (loud grungefolk from Bettie Serveert, and sparse anti-folk takes from Existential Hero and The Sarcastic Dharma Society). While common to songbook coverage, such a range of sound is less common in the hands of a single artist, who here takes on both country/folk/pop forefathers Bob Dylan, John Prine and Paul Simon and indie counterparts such as Feist, Daniel Johnston, and Elliott Smith with everything from solo slouch to wailing screamfolk. Prepare to be surprised.